Slideshow: Take a look back at this nerve-racking ride through the Alps with German rally legend Walter Röhrl. Photos courtesy of Top Gear. 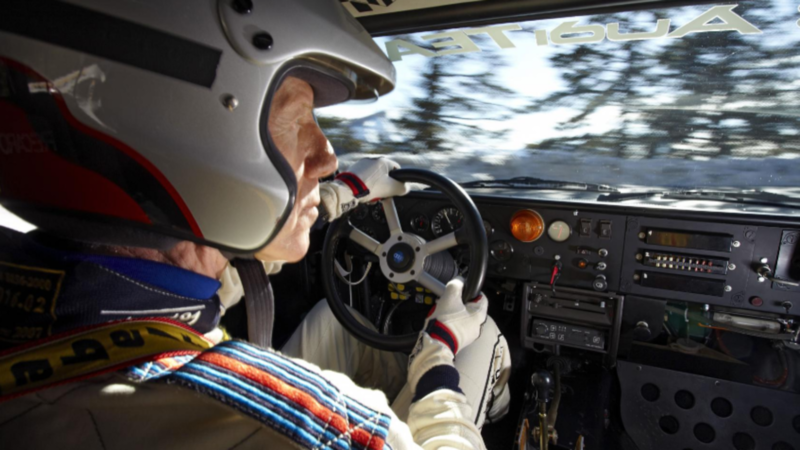 Behind the wheel is German rally driver Walter Röhrl. The only championship-winning driver ever produced by Germany, Röhrl won the World Rally Championship in 1980 and 1982 as well as a Pikes Peak International Hill Climb in 1987 amongst many other racing achievements over the course of his career. 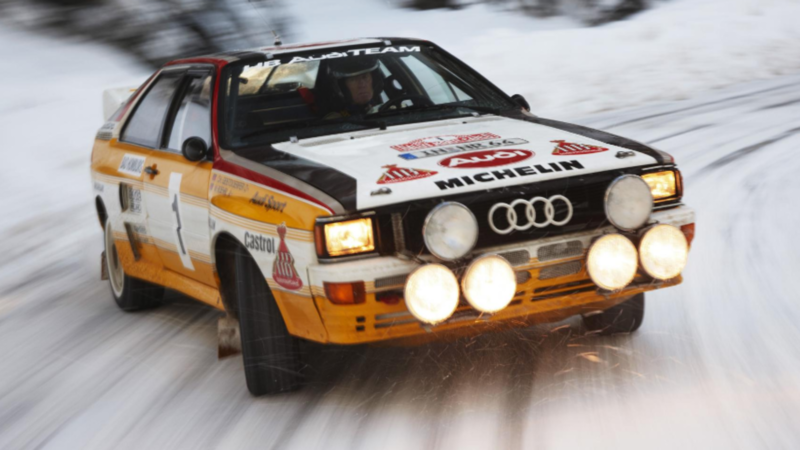 >>Join the conversation about Walter Röhrl and Top Gear in a Quattro right here in the Audi World Forum! Powering the 1984 Audi Quattro is a downsized 2.1-liter, turbocharged five-cylinder alloy-block engine tuned to achieve around 450 brake horsepower. 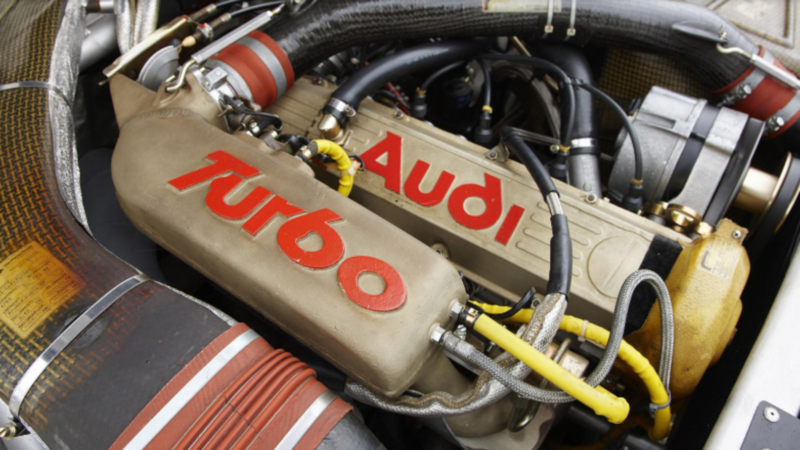 The KKK-K27 turbocharger rated at 17 psi forced Audi to reduce the car’s engine displacement in order to comply with racing regulations. From a complete stop, the rally Quattro is capable of sprinting from 0 to 60 in just 4.8 seconds. 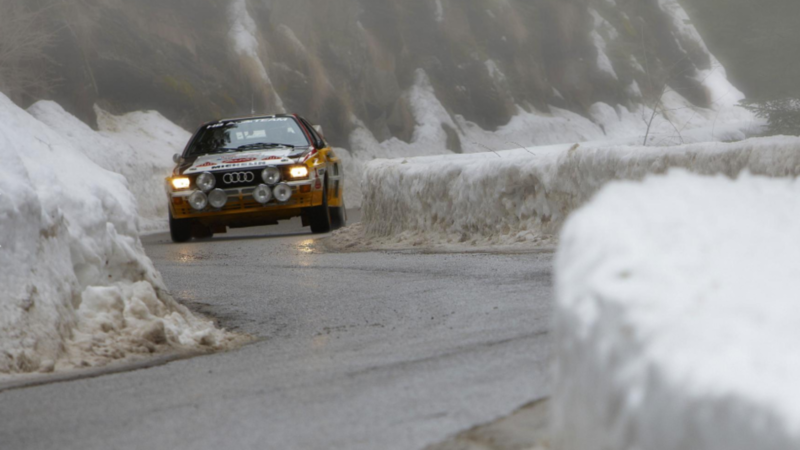 The '80s Audi Quattro rally car was the first to utilize four-wheel drive in the sport. Audi's original four-wheel drive system, quattro, situated the engine and transmission longitudinally; torque would get sent through the transmission to a mechanical center differential which would then permanently distribute torque 50/50 between front and rear driven axles. 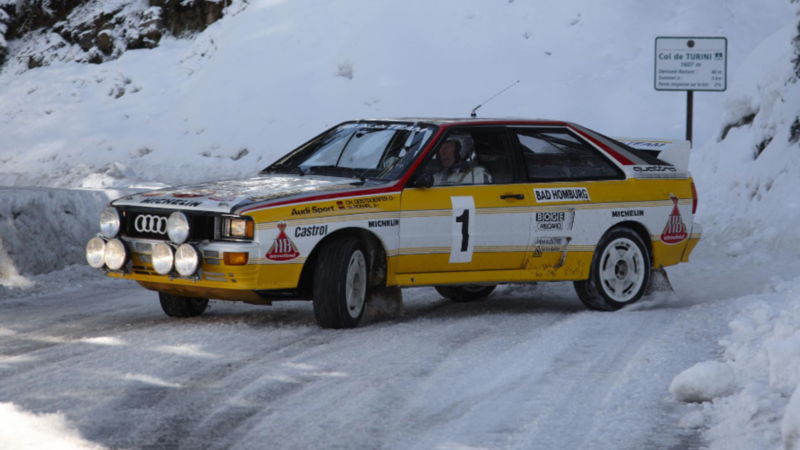 The unsophisticated, early four-wheel-drive system, combined with the Quattro’s heavy engine make the rally Quattro words nothing short of difficult to maneuver through controlled drifts. Apparently, not for Walter. 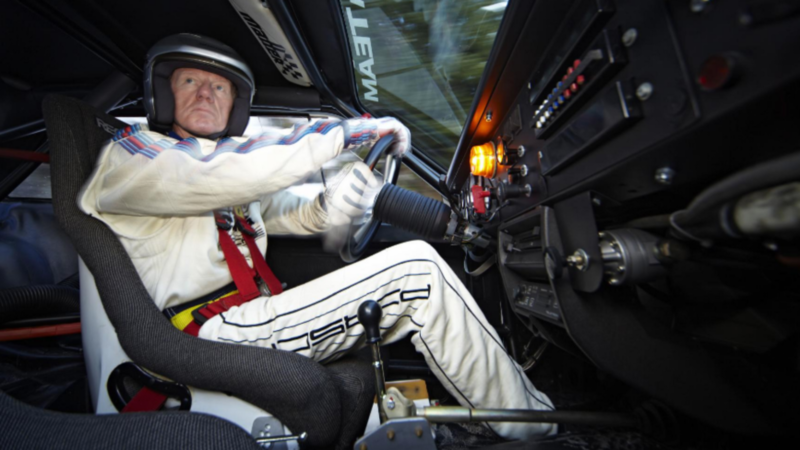 Röhrl began his driving career as a chauffeur and entering his first rally in '68. His large frame gives him a very controlled presence behind the wheel of the compact '84 Audi Quattro rally car. Röhrl grew notorious for being an elegant and impossibly quick driver capable of mastering any car he took control of. Despite his size, Top Gear noted there was a Zen-like coordination and relaxedness to his every movement. The people at Top Gear were lucky to take this drive with Mr. Walter Röhrl. To experience everything that makes him great as a driver, in one of the most intense driving environments, in one of the most legendary rally cars in the sport... Pretty cool. Pictures certainly don't do this experience justice. Maybe one day one of us will get lucky and run into Röhrl and casually ask him to take a short drive through the Alps. It could happen. I won't hold my breath, I guess. For help with service on your car, check out the how to section of AudiWorld.com.